At the 2017 Impact Travel Summit, entrepreneurs and leaders in the travel industry shared some of the challenges facing the travel industry, along with inspiring and compelling examples of positive change–all with the aim of mainstreaming sustainable tourism and creating greater transparency. And at the 2018 Women in Travel Summit, sustainable travel topics were woven throughout the educational tracks and main stage. Here are some of the themes and lessons that emerged. Note: Most of the following quotes were from the Impact Travel Summit, except where indicated that a talk was given at the Women in Travel Summit. There’s a positive shift happening–travelers want something more. Successful tourism benefits local people. The UN ambassador from Botswana, Charles Thembani Ntwaagae, told us that in his country sustainable tourism is a viable economic alternative to mining. And in Israel, successful tourism means that women are able to get ahead, according to UN ambassador Danny Danon. What this really boils down to is that responsible travel is when travelers care for a destination as if it were their own home–wanting to see businesses, culture, and the environment maintained (and thriving) for the future. Sustainable tourism is here and now. 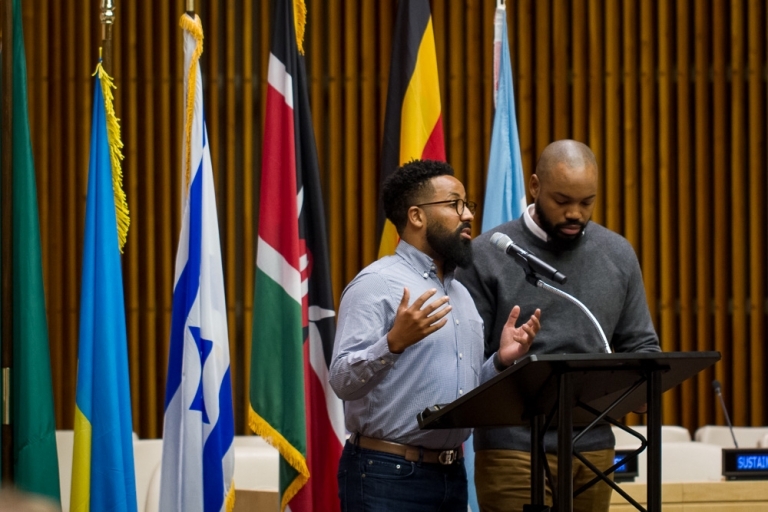 Eric Martin and Kent Johnson are the Co-Founders of Black & Abroad, a cultural collective dedicated to redefining world experiences for the modern black traveler. They started it because, while they knew African Americans were traveling, they noticed a severe lack of representation in the media and marketing. On the same note, I just listened to an interview with Sarah Enelow-Snyder on Passport Travel Marketing, and one of her biggest tips for impactful inclusion was to have diversity in the decision-making room. One of the tips she shared for respectfully writing about Indigenous peoples: avoid stereotypes and exoticism, and seek to highlight diverse representation (i.e., Indigenous culture is not just Pow Wows). I’m planning to write a post highlighting the work of some amazing Indigenous photographers, but for now, check out these incredible Instagram accounts: Project 562, Sam Crow Photo, Ryan RedCorn, and Red Works Photography. My takeaway as a white traveler and content creator: I want to be intentional about the media I’m consuming and promoting–from Instagram accounts to podcasts and books to conferences I attend–and ensure I’m listening to and sharing diverse perspectives. Making connections with people is an important part of sustainable tourism. At Hosteling International, the goal of bringing people together goes beyond how they design their buildings, but it’s woven into the heart of their business. 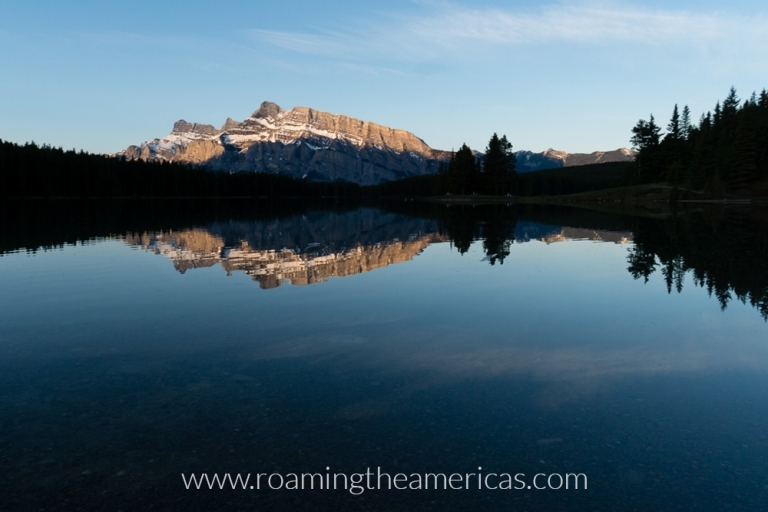 The tourism industry is growing, and there’s great potential–but it needs to be managed. 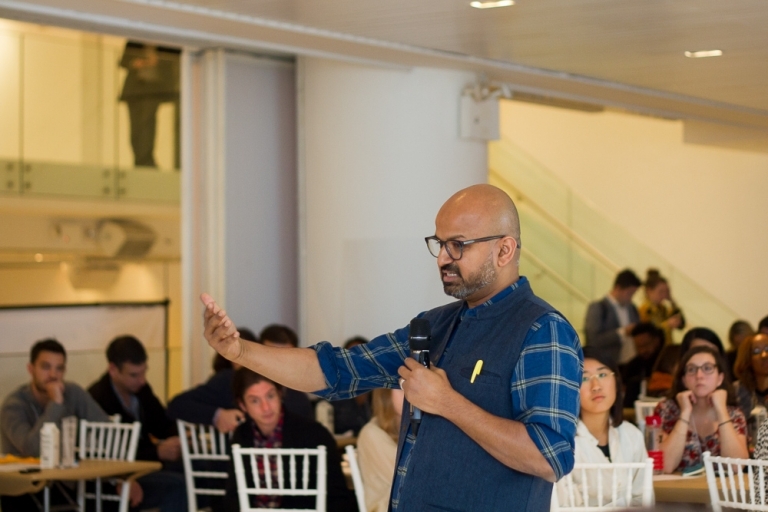 Rafat Ali, Founder of Skift, pointed out in his closing keynote that there are many reasons for overtourism (a term that Skift coined)–from low cost airlines to underplanning by governments to the democratization of global travel. And social media has changed how we travel and the reasons why we travel. What are the solutions to help manage this growth of tourism? Ali suggested these ideas, based on a recently published Skift framework for combating overtourism: Limiting transportation options, making it cost more, better marketing and education, collaboration among stakeholders, protecting overcrowded areas, and breaking the patterns. The world is full of fascinating, obscure places–and they just might be the antidote for overtourism. 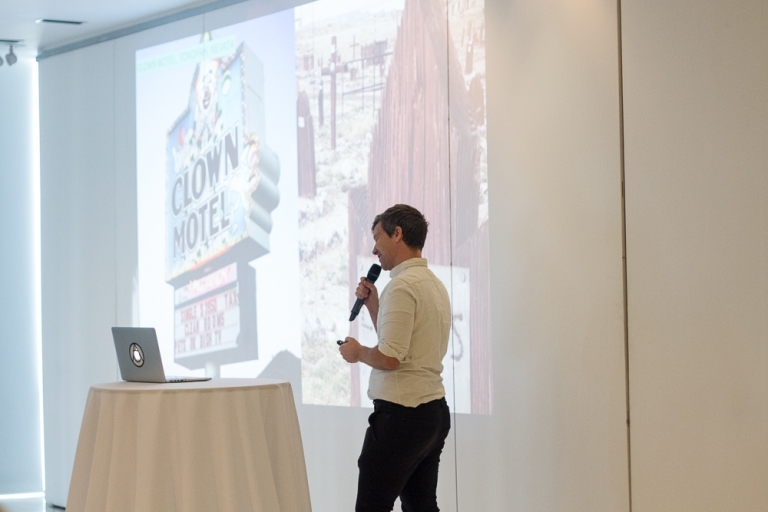 Dylan Thuras, Founder of Atlas Obscura, started his talk by scrolling through slides of a clown motel in the desert and a rope bridge in Peru that is braided by hand from grass–get this, every year. There are unique, fascinating, and obscure places all over the world. They’re the kind of places that deserve attention and income from tourism, but nobody is visiting. So that’s the mission of Atlas Obscura: to bring these places to the light and encourage a sense of wonder that encourages travelers to seek out alternatives to the popular hashtags and places that are overrun with selfie sticks.